Left to right: Samantha Loveday, Ian Hyder, Jakki Brown and Rob Willis. The proceeds from today’s charity raffle will be divided between The Light Fund, our industrywide charity and Amnesty International, the world leading human rights charity. The Light Fund, set up in 2004, is the licensing industry’s registered charity. The ‘Light’ part of the name is an acronym for ‘licensing industry giving help together’ and this is exactly what it does. Since its inception, The Light Fund has raised around £1.5 million and funded well over 200 charity projects helping men, women and children less fortunate than ourselves, all over the world. The cruel new laws that have just been passed in Brunei (leading to the boycott of The Dorchester) reminds us all of the importance of human rights and the injustice which so many around the world have to contend. For this reason, this year half the proceeds of today’s raffle will be donated to Amnesty International. There is a stunning line-up of prizes in today’s raffle and some great reasons to dig deep. Huge thanks to everyone who has donated these prizes and to you for buying them! automotive, design, talent and fashion - are represented in the Grand Ballroom of the Hilton Park Lane today. Good luck to everyone and we hope you enjoy a wonderful afternoon. The Brand & Lifestyle Licensing Awards are organised and owned by Max Publishing, owners of The Licensing Source Book Europe and The Licensing Awards Max Publishing is an independent media company that is wholly owned by Jakki Brown, Ian Hyder and Warren Lomax and also publishes The Licensing Source Book, Progressive Preschool, Progressive Greetings, Progressive Gifts & Home, Progressive Housewares and Progressive Party. Max Publishing also organises and owns other leading B2B awards events, namely The Licensing Awards, the Progressive Preschool Awards, The Henries, The Retas, The Excellence in Housewares Awards, The Calies and The Greats as well as the Progressive Greetings Live exhibition and LicensingSource.net, PG Buzz.net, Preschoolnews.net, GiftsandHome.net, HousewaresNews.net and Partyworldwide.net (through its sister company Max Media Ventures) Copyright 2019. The publishers cannot accept legal liability for any errors or omissions nor can they accept any responsibility of the standing of any advertiser, sponsors or finalists or any organisation or individual mentioned in this publication. Inset: The B&LLAs trophy has been designed and created in the UK specifically for the awards. hile the B&LLAs’ spotlight is shining directly on the finalists and winners, the awards event also draws on the expertise of a wealth of talented individuals to help ensure that the whole afternoon is truly memorable from the pre-dinner speaker (Giles Andreae), the host (Adrian Chiles), the ‘voice of god’ (Roger Tilling from University Challenge), the competition, raffle and fab goody bags! Inset: TV presenter and commentator Adrian Chiles is the host of the B&LLAs this year. Inset: Giles Andreae, the man behind Purple Ronnie, Edward Monkton, Happy Jackson and countless books will share his inspiring story. Popular and well-known face and voice from TV and radio, Adrian Chiles is the host of the B&LLAs 2019. Adrian’s journalistic bent, love of football and natural affinity with people has all come together in a career that has spanned presenting prestigious news and current affairs programmes, host top comedy panel shows, anchor popular culture series and head up respected sports radio shows. From Panorama to The One Show, Have I Got News for You to ITV Sport, cycling from Newcastle to West Bromwich (home of his beloved West Bromwich Albion FC) with Alan Shearer for Comic Relief, Adrian has done it all! Inset: The incredibly talented Heather Flynn. Left: The B&LLAs 2019 invitation was designed by Heather Flynn, produced by Windles and uses fabulous board donated by GF Smith. Below: Fashion UK will be providing the table signs. A FEAST AND TREATS FOR THE SENSES The Hilton Park Lane is renowned for the quality of its cuisine. The menu for The B&LLAs was selected by its head chef with discerning brand licensing folk in mind. There will be no problem finding your table as Fashion UK has come up trumps with eye-catching table number signage while a Slumberdown mini pillow is a placecard with hidden benefits. Each of the pillows is impregnated with ‘pillow talk’ scent using the special Celessence Technologies’ micro-encapsulation technology (licensed by Art+Science), which will help you sleep tonight! Above: The ‘placecard’ is But it is hours before any thoughts should turn to a special mini pillow using Celessence Technologies’ slumber, there is lots of excitement to be had first. micro-encapsulation technology. While not everyone can go home with a coveted Right: Your talons are B&LLAs trophy, all here are in with a chance of in for a treat! winning not only some fabulous prizes (including Left: Among the treats in the goody bag are amazing hotel stays) in a Hearst magazines ‘higher and Oasis candles from lower’ competition. Then there is the great line-up of Bahoma London. prizes in the charity raffle (with the proceeds divided between The Light Fund and Amnesty International) and a delectable I Like Birds’ goody bag (The Art File) for all, full of lovely products, ranging from Oasis candles (Bahoma London) to an Illustrated Faux Nails set (H&A) and from Morris & Co hand cream (Heathcote & Ivory) to Formula E goodies and lots more besides! 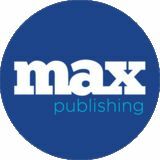 Bump PR In addition to Max Publishing’s own media channels (notably the daily e-newsletter LicensingSource.net and Licensing Source Book), the B&LLAs official media partner is Total Brand Licensing. Right: The homepage of the B&LLAs website that facilitated the online entering process. ME HOW TO BUILD A LASTING WORK RELATIONSHIP 1. Cut along the dotted line. 2. Rotate 180 degrees. We build partnerships between brands and retailers. We think differently, giving #11% to charity and promoting #lifeworkbalance. Over the past 130 years, National Geographic has never wavered from its commitment to explore ‘the world and all that is in it’. Support from people like you help us advance science, exploration and innovation to further the world. www.discoveryadventures.com Inspired by over 30 years of storytelling, at Discovery we think there’s always more to know, explore and experience: life is about collecting moments, not things. Because every moment, insight and experience makes us grow. www.discoverymindblown.com Inspired by Discovery’s thousands of hours of compelling STEM programming, Discovery strives to inspire future generations through innovation and fun, learning through play. Congratulations to all the nominees! 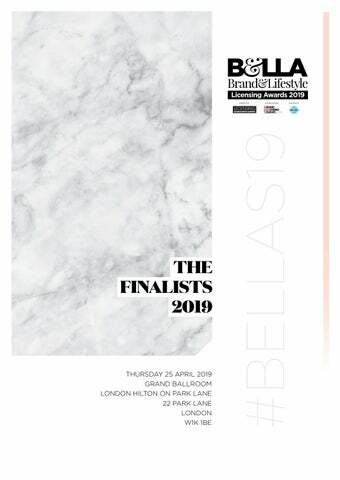 On behalf of the entire team at Brand Licensing Europe, we would like to congratulate all the finalists and winners on the incredible range of entries at the 2019 B&LLAs! is the global market leading full service creative agency providing strategies, programs and assets for true brand extension. We deliver creative that excites and re-enforces the consumers’ emotional connection with the brands we work with. Thinking, Strategy & Execution made better through design. More top global brands choose BrandComply to help manage and protect their Global Licensing Ecosystems. This industry is blessed with visionaries whose passion, commitment, creative thinking and attention to detail has been instrumental in the development of brand and lifestyle licensing. WE WISH ALL THE FINALISTS THE BEST OF LUCK!